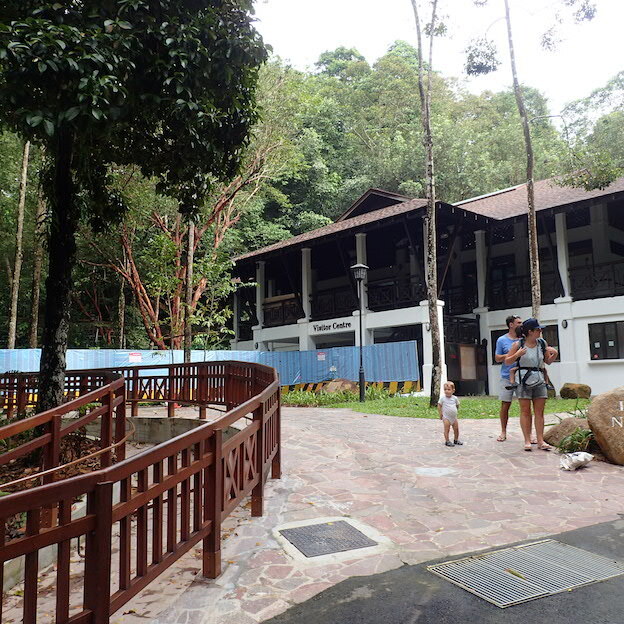 When the Bukit Timah Hill first re-opened, I was not happy with the changes. Some of my favourite routes were blocked by fences. Old routes were re-routed for some good reason that I do not know. 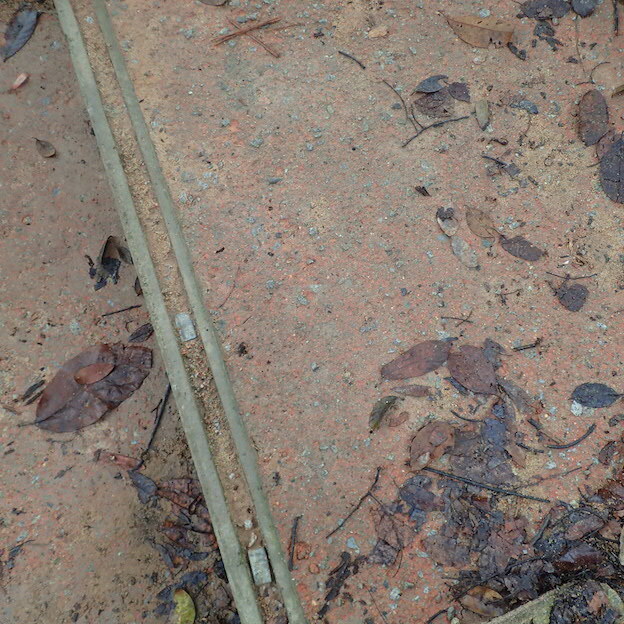 The old rugged, uneven, muddy paths had been made straight and flat and staired. Other hikers in the group were not happy too. 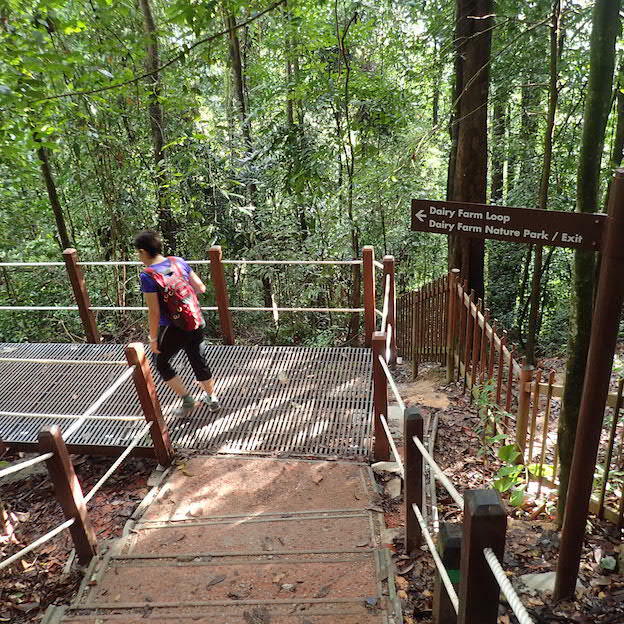 The muddy and natural hill paths of the past had allowed us good realistic training for what we would find in many tracks and paths in the mountains of Malaysia and other South East Asian countries. Now it looked far from “natural”. The Visitors Centre was the old one spruced up. The new restrooms were airy and larger and moved to a better location. Now months have passed. I have been hiking these trails again. My feelings of annoyance at the insensitivity and intrusiveness of the park authorities have subsided. I wished they had interacted with and consulted the hikers who used the place frequently. Or at least they would bother to explain why things have been changed, and why they needed to be changed. Maybe an exhibit or video at the Visitors’ Center to explain the why of the changes. Or guided tours by park of rangers for those who want to learn more about the logic behind the changes. It was a great chance to educate the public about conservation and care of the forests. This was not done as far as I knew. I give them the benefit of the doubt though. They must have thought this through thoroughly. Over the months, I have gotten used to the new trails and find them convenient. 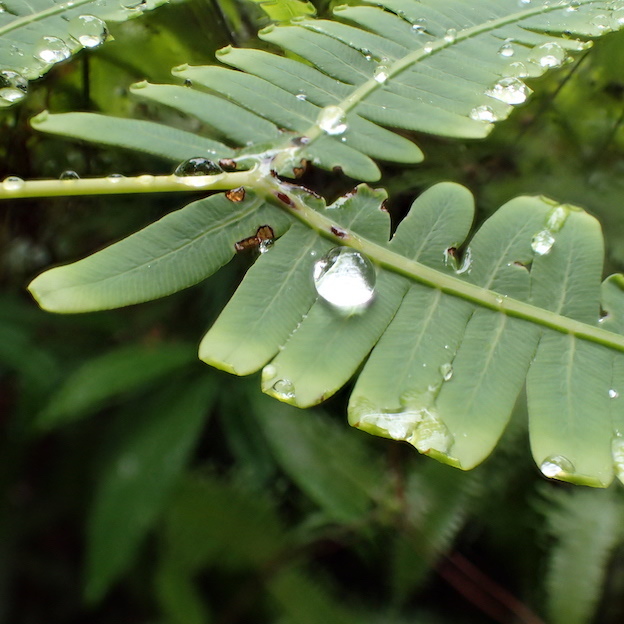 On Saturday, we hiked in the drizzle and I certainly appreciated that my boots were not muddied, and I did not slip, and it was very safe to walk even in the drizzle. The new paths made the trails more accessible to more people because they are now easier and cleaner and safer. Most people used the main road to the summit and never ventured out to the side trails partly because they did not know the way, and partly because the paths used to be muddy, and uneven, and had twists and turns. am sure they will venture to the side trails now that they have been upgraded. These side trails are definitely more fun and work the muscles better and exercise your heart more. Old path to the right fenced up. Turn left! The greenery did not change. Thank God. The miniature world is beautiful. 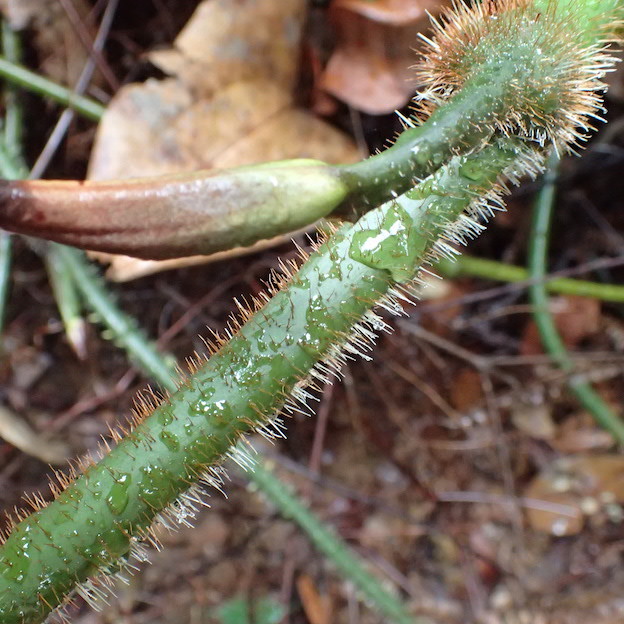 God is into the details. 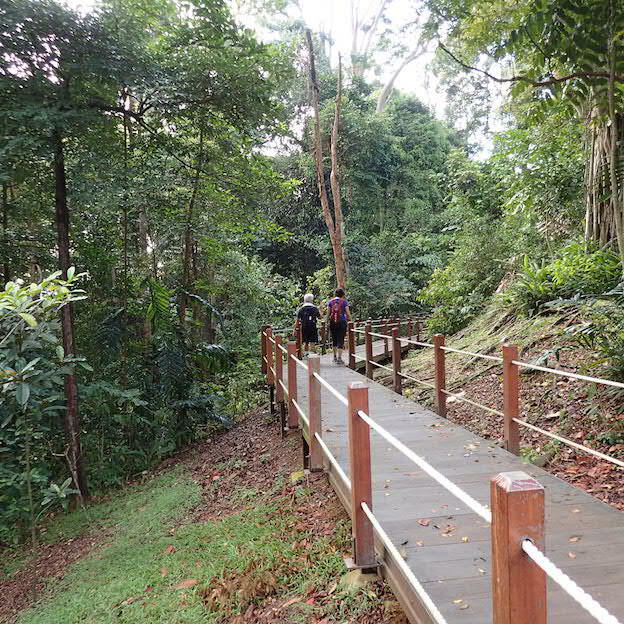 If you have never hiked the Bukit Timah Hill, I encourage you to do so, especially now that it is more accessible by public transportation via the Beauty World Station of the Downtown Line. 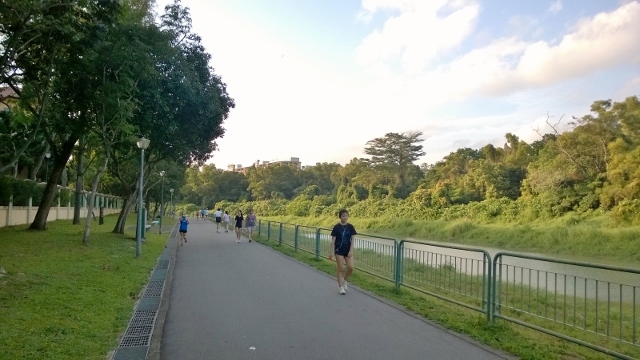 After you have had a good 1-2 hours hike, you have a good choice of restaurant or hawker food in the many shopping malls and hawker centers and restaurants, all within 5 minutes of the MRT station. 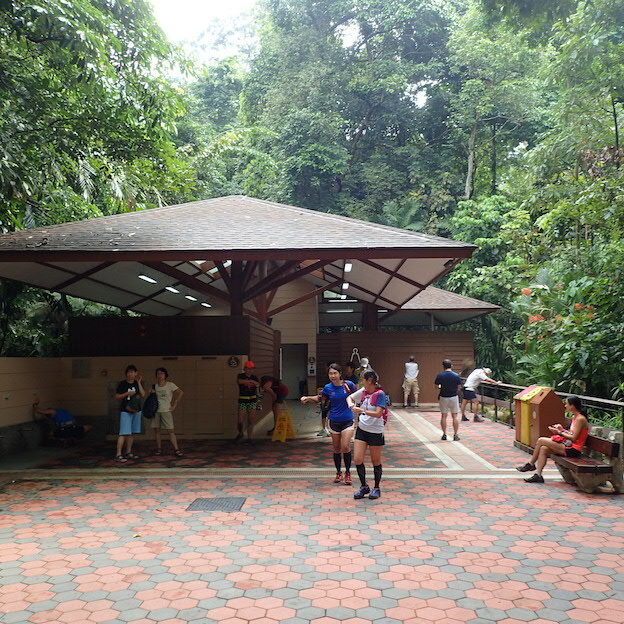 One of the things that puzzled me was why they did not build a multi-storey carpark like they did at MacRitchie. Why? 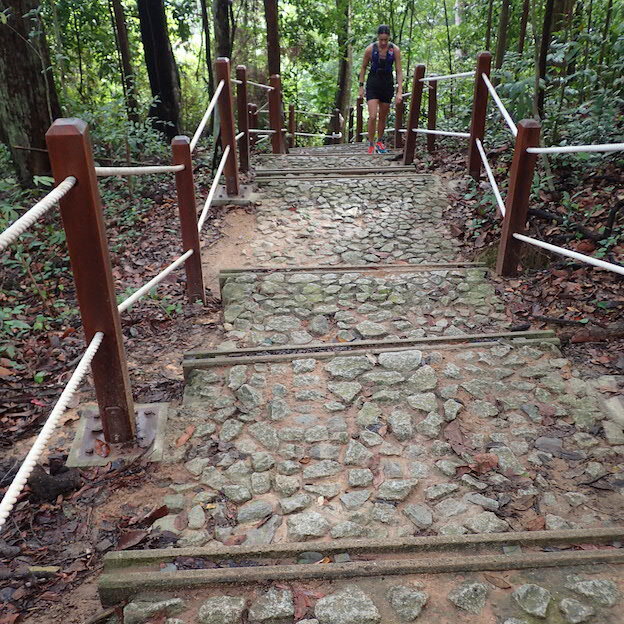 I wonder if you had any questions after your visit to Bukit Timah Hill. Do write them in the comment box below. Running effortlessly in the air – that is what cycling feels like to me. I used to run a lot. I mean when you play basketball for school and community centre, you have to run, run and run. That was long ago. Since I hit the late 40s I have stopped running. Getting motivated to run required such a gigantic effort. There were many false dawns as I tried to get into a habit of running for health. None lasted more than two months. There was that bright period in Chiangmai when I ran almost every other day for a month. When I returned to Singapore I tried to continue but it evaporated in hot air. Several months ago I bought a new pair of running shoes with fresh resolve to run again. I have used it less than ten times for running. Running seems to do violence to my rigid body. My knees take the brunt of the steady banging as my feet lands on solid ground. My breathing becomes heavy and laboured. It becomes a stupendous effort to jog round the Japanese and Chinese Garden. needed a reconstruction. 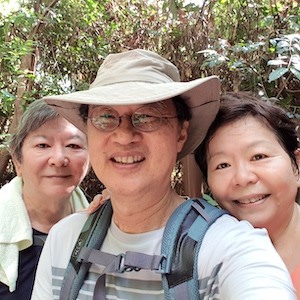 My good trekking friends still meet to trek different places in Singapore. 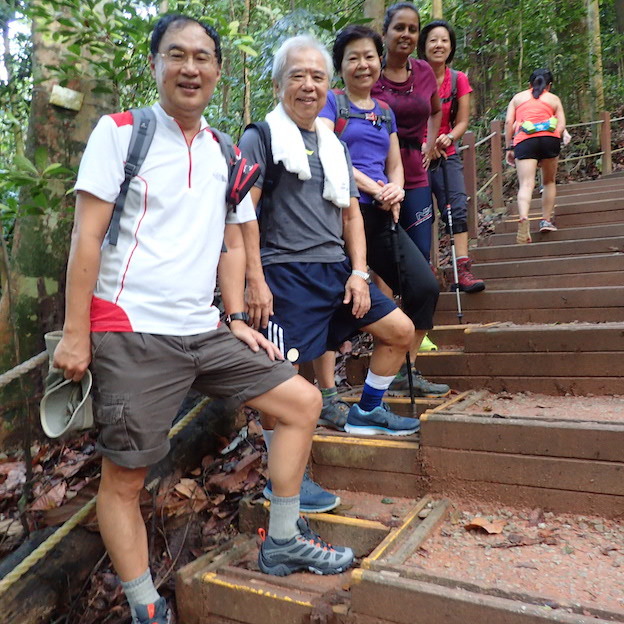 They are quite adventurous and have travelled far and wide (including Gunong Datuk) since Bukit Timah Hill’s closure, but I have not been able to join them on most occasions. I stumbled into recreational biking. 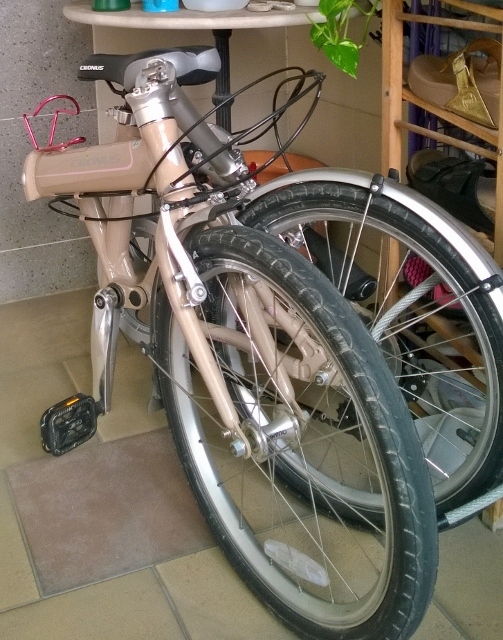 A pastor talked to me about his folding Brompton bike. I was almost persuaded to buy one. Another pastor offered to sell me his few months old folding bike, a Cronus Earl 2.0, at a generous giveaway price. I took it. 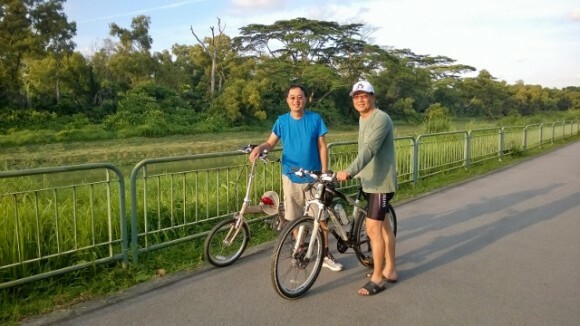 So I biked around the Jurong Lake since I lived so near to it. I found that I enjoyed it greatly. The feeling of movement, the gentle breeze against my face and cooling my whole body, the serenity of water and trees, fountain and pagoda and golf course, all combined to refresh me while I cycled for close to an hour, and sometimes more. It felt like running in the air. My feet never pounded the ground. I never gasped for air like a dying man. I felt I was running on a cushion of air aided by a machine that is beautiful and smooth and effortless in motion. Now I understood what my friend Eric Ng was into. He was into this cycling business with serious intent. He trained for riding trips in Taiwan and the Annapura range. He invited me but I was not interested. My conversion shows that timing and change of circumstances can change a man’s heart quickly. Now it was I who asked him to introduce me to some of the park connectors he was familiar with. 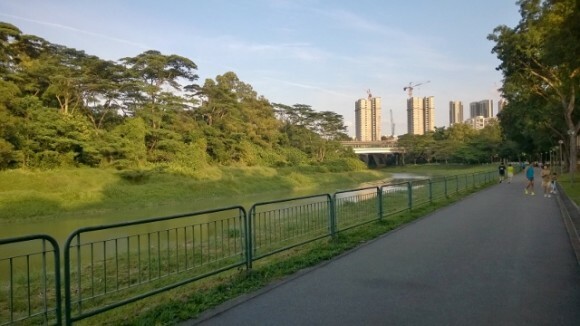 So off we went to the Ulu Pandan Park Connector last Sunday evening. It was a hot 6pm but even as we rode, the route was pleasantly shaded for the most part. There was the canal beside it. There were many joggers and other recreational cyclists. You occasionally catch sight of serious bikers in their expensive machines, the occasional Brompton, and many other entry level bikers like me. I was surprised by the effort put in by national parks to make the park connectors such pleasant routes for cycling, walking and jogging. God bless the Singapore civil servants for this great idea that is a gift for the public to use. One day I will write more about this park connector but for the time being here are a few photos I took during last Sunday’s ride. As an aside, cycling is like living by grace. You are aided by grace. Your motion and momentum is augmented by the bicycle the way God’s Holy Spirit powers the walk of grace. Its a gentle running in the sphere of the Spirit.